Home Have you been arrested for steroids? Rick Collins, Esq. Rick Collins, Esq., is a popular personality in the bodybuilding, health, fitness and nutrition communities. 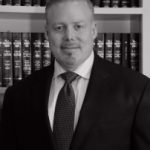 A successful lawyer, author, lecturer and magazine columnist, he is a partner in the law firm of Collins Gann McCloskey & Barry PLLC, in Mineola, New York. He was formerly a criminal prosecutor, personal trainer and film actor. 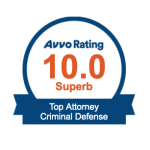 As an attorney, he has been awarded the highest accolades for legal abilities and ethical standards (AV-rating) from the prestigious Martindale-Hubbell directory of lawyers, and he is listed in the Bar Register of Preeminent Lawyers. A former award-winning bodybuilder and co-owner of a personal training business, Rick has a lifelong dedication to fitness and is also a nationally Certified Strength and Conditioning Specialist (NSCA-CSCS). As the nation's foremost legal authority on performance enhancing drugs and supplements, Rick has contributed chapters to two texts on sports nutrition and has co-written a chapter on adolescent use of performance-enhancing drugs. In the late 1990s, he created the informational resource SteroidLaw.com in order to help bridge the gap between the muscle world and the justice community and he is the author of the definitive legal treatise on anabolic steroids, LEGAL MUSCLE: Anabolics in America. 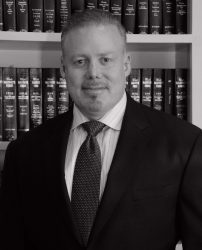 He has written extensively on the topic of non-medical steroid use for legal publications including the Criminal Justice Journal of the New York State Bar Association and The Champion, the publication of the National Association of Criminal Defense Lawyers. He frequently writes for various fitness and bodybuilding publications, and has been a monthly columnist for the nationally circulated Muscular Development magazine and a member of their Advisory Board since 2001. Rick is the official legal advisor to the International Federation of BodyBuilders (the IFBB, formed in 1946, currently has 173 affiliated National Federations and is recognized by over 90 National Olympic Committees). He is also General Counsel to the International Society of Sports Nutrition. As a leading advocate for the health and fitness community, he is a believer in preserving the rights of adult Americans to safe dietary supplements. He has served as General Counsel to a not-for-profit coalition of industry companies, scientists and consumers. Rick has been interviewed as a legal authority on performance enhancing substances in the film "Bigger, Stronger, Faster*" (2008) and on national television talk and news shows, in talk radio interviews and by countless online and print publications, including USA Today, ESPN.com, The New York Times, the Washington Post, the Los Angeles Times, the Village Voice, the Salt Lake Tribune, Newsday and Reason magazine. 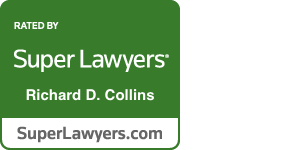 His practice and accomplished career have been profiled in periodicals as diverse as the prestigious New York Law Journal and the popular MuscleMag International. Bodybuilders, Olympic and professional athletes, sports coaches and trainers, criminal lawyers, physicians, pharmacists, military servicemen, and even police officers from across America have paid for the opportunity to access his encyclopedic knowledge. Rick also handles a variety of alternative drug cases with connections to fitness or bodybuilding. He is admitted to practice in the State courts of New York, Massachusetts, Pennsylvania, and Texas, and in the District of Columbia.